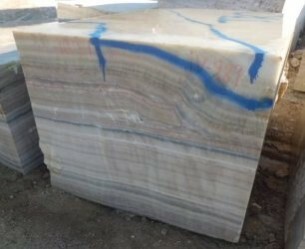 We provide a detailed report for cracks and selection of the blocks. Along with the report, we also provide any specific information and dimensions requested by our clients with many pictures. We take pictures of 5 faces of each block and send to you. During block inspection, we examine visible cracks on requested selections and sizes. If we identify any crack or selection problem, we ask for your comments before the final confirmation. We provide packing lists both for NET measurements and the GROSS measurements. We provide official truck weight slips for weight confirmation. If we find out that some parts should be cut from blocks to have a cleaner selection, we ask quarry to cut those parts. Block measurements are performed on the basis of the problems and defects on the blocks. 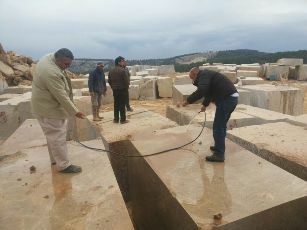 The measurement is made according to a mutual agreement with the quarry staff.